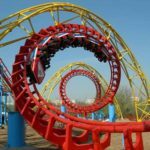 Mini roller coasters are similar to the thrill roller coasters, but smaller in size and more suitable for small kids and families. 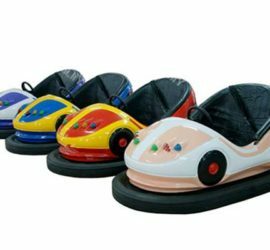 There are small cars with different styles running on the track. 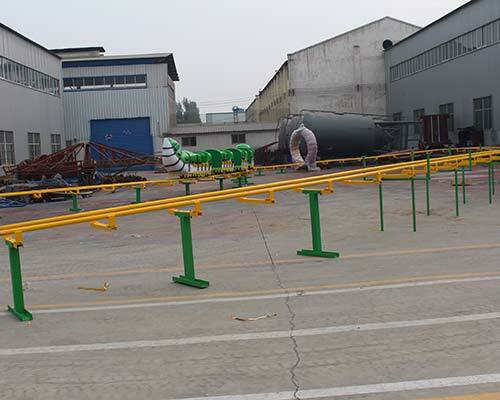 Track height, length and styles can all be customized base on customers’ demand or area. 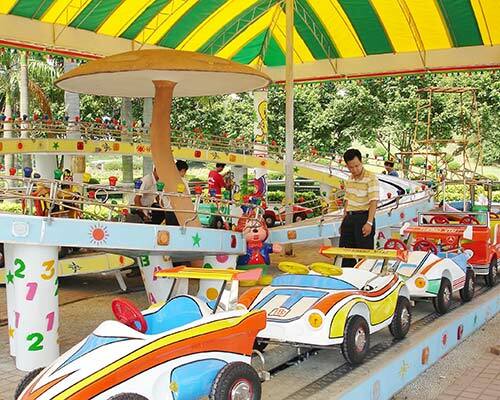 It has many different types of the kiddie roller coasters. 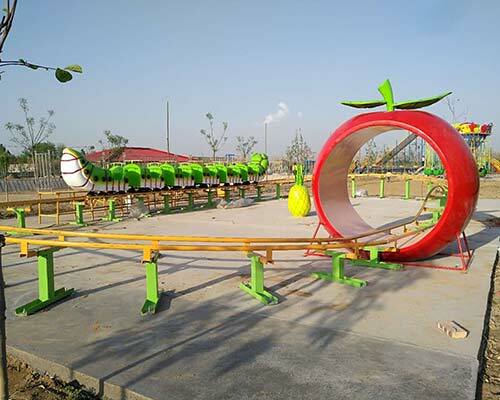 The popular ones are mini shuttle roller coaster, sliding dragon roller coasters, sliding worm roller coasters, fruit worm roller coaster rides, etc. 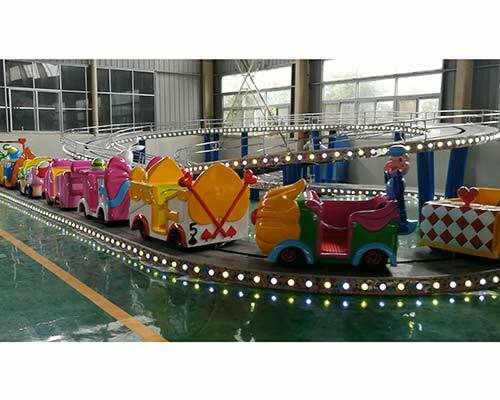 Mini shuttle roller coaster is a new kind of kiddie amusement equipment running on the interchange rail. 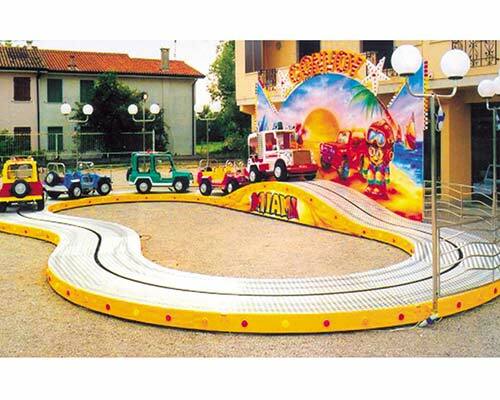 It is composed of several beautiful and different style sports cars and the round track. The small cars are connected together with fixed distance. 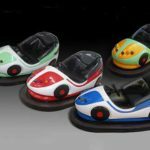 When running on the track, kids can drive their own cars separately. They don’t worry about the cars crushing on another, because they have smart induction function. 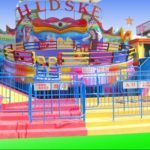 For the track, it can be made with one loop or two loops. Normally there are 8 or 10 or 12 small cars to run at the same time. The mini shuttle rides is decorated with colorful lights, sounds and music, and also the cartoon pictures. 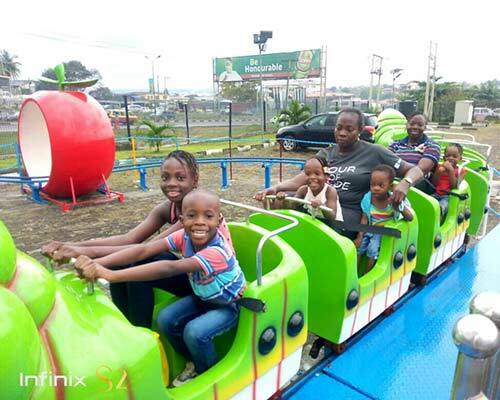 Children sitting on this ride can feel they are climbing over the mountains. 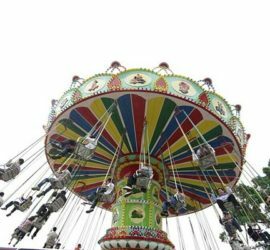 Riding on the ride can give people the feeling of thrill but no panic at all. 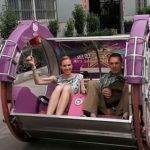 Passenger can experience the happiness and enjoy the fun travelling together with their friends or parents. 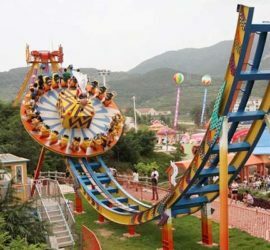 Sliding worm roller coaster ride is a track type amusement equipment, which is similar to the sliding dragon roller coasters. 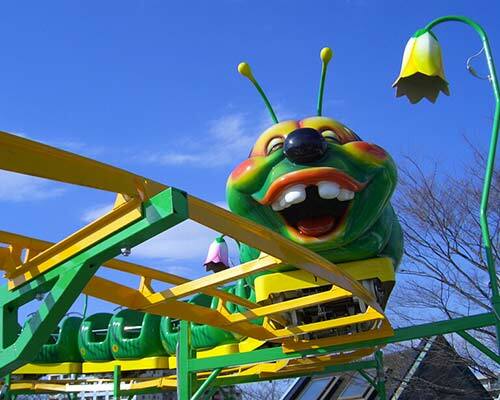 The main body of this ride is a large green worm shape. 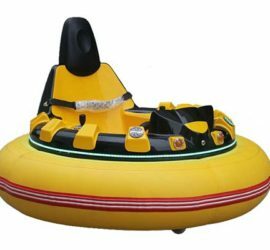 It is suitable for the playgrounds, outdoor squares, amusement parks and even indoor area. 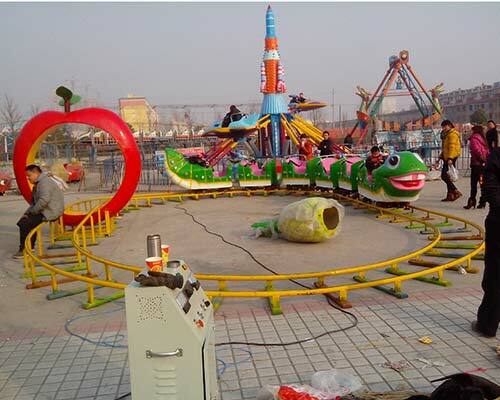 The worm roller coaster kiddie rides are made of high quality FRP and steel material. 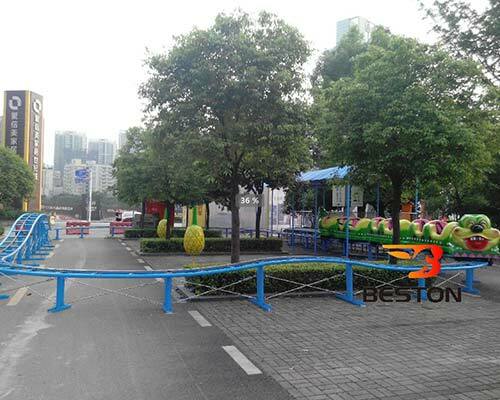 These materials are environmental friendly, corrosion resistant, beautiful, stable and durable. It not only looks lovely, but also energy saving. 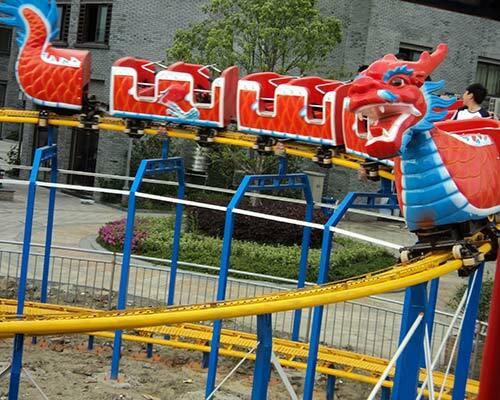 Sliding dragon roller coaster rides are shaped like a dragon. 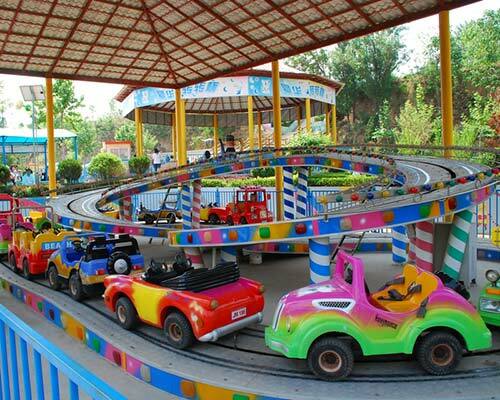 The whole train is driven by front and rear transmissions, travelling along the spiral track. The trains sometimes spiraling upwards, and sometimes falling rapidly. 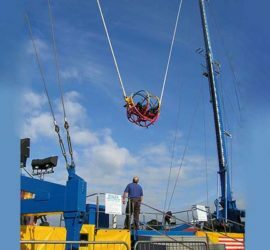 It gives the passengers entertaining, interesting and exciting experience when riding. Both young people and the older like it very much. 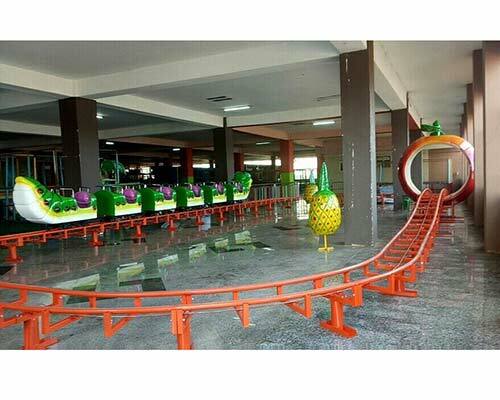 The elegant dragon shape and the decoration with ethnic characteristics attract tourists’ interests a lot. 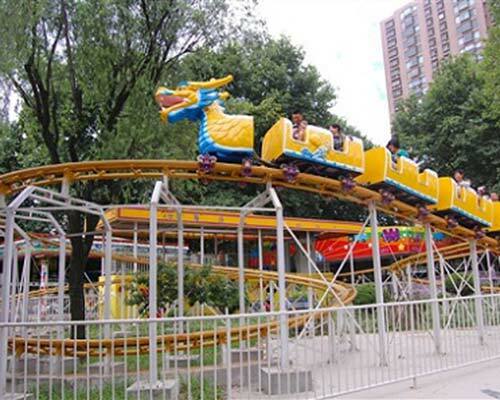 The dragon roller coaster rides are one of the popular thrill amusement equipment among young people. 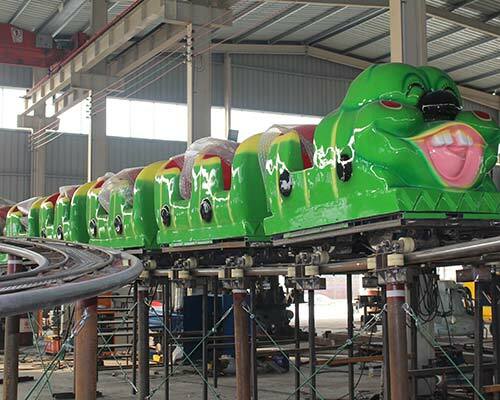 Beston company has spent a lot of effort and manpower on the production and safety control of the sliding dragon roller coasters. 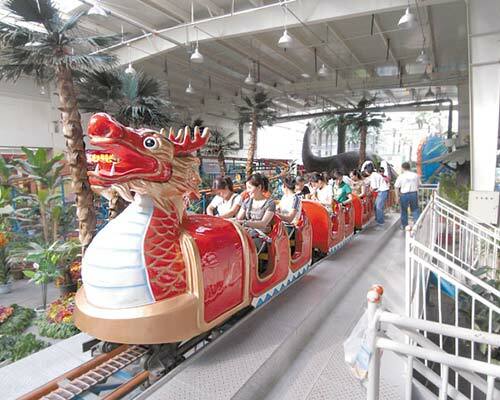 The sliding dragon ride use mechanical power to transport the trains to a higher position. The kinetic energy and the potential energy generated by the height can make the train cars move down during sliding. The orbital transformation in the process makes the whole running thrilling and exciting. 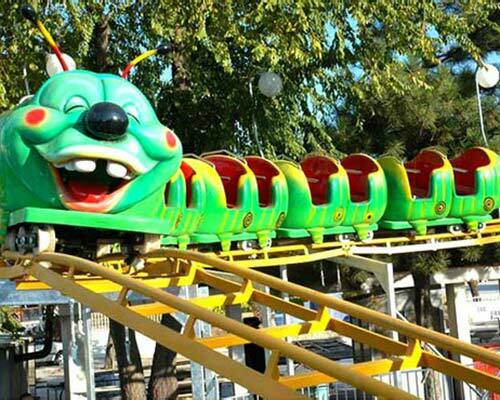 In the front of the ride, it is a dragon head looking car. After the first train cabin, it is followed by a lot of small cars. 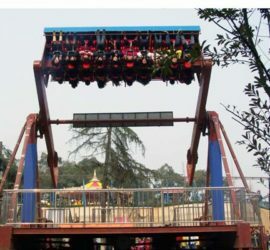 Many passengers sitting on the train, and shout loudly and scream by the thrill riding. 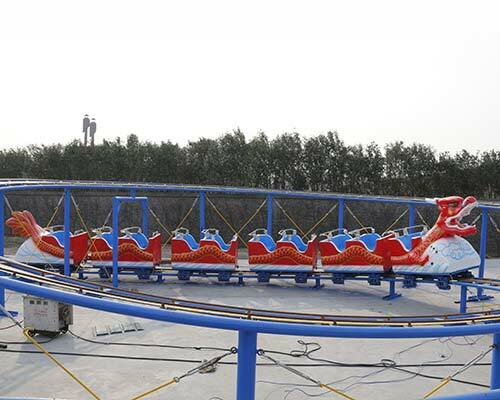 At the beginning, the sliding dragon roller coaster will run upward slowly, but after a sharp turn, its speed will be very fast. 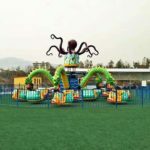 The sliding dragon roller coaster amusement ride covers a large area, so it is more suitable for outdoor places. 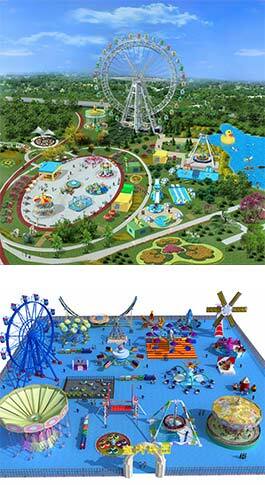 You can find it at amusement parks, playgrounds, tourist attractions, theme parks, and so on. The feeling is just like the large roller coasters. 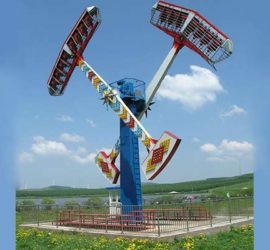 Beston mini roller coaster rides have many different type and different models. 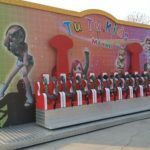 We can also accept the customization on the rides, so the prices will be not the same. You can have a look through our website to select the ones you like, then send us inquiries or contact our sales managers directly. We will quote you with best price base on your selection and demand. 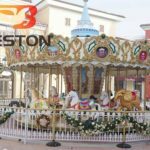 Except the mini roller coaster thrill rides, Beston also produce and sell many other good quality rides. 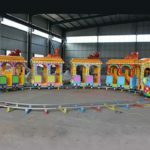 If you come across our website or visit our factory, you will find our rides available. 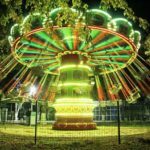 Ferris wheel, UFO ride, bumper cars, le bar cars, self control ride, energy storm ride, swing tower ride, pendulum ride, pirate ship rides, flying chair rides, carnival rides, indoor ride, and other kiddie rides, etc. 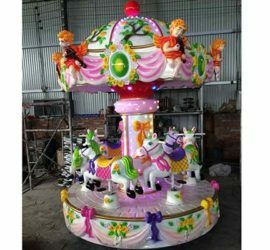 Almost the whole range of large and small amusement equipment we can provide, to better meet customers’ demand for amusement park rides. 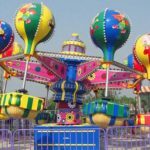 Welcome to contact Beston and buy the high demand amusement rides, you will enjoy more benefits not only the good prices.